Jewelry is definitely something used worldwide for decorating hands neck, fingers and toes and to enhance the beauty of women and men both. There is a bunch of expensive jewelry available at stores but it’s always a better idea to create your own master pieces as they are both budget friendly and unique. 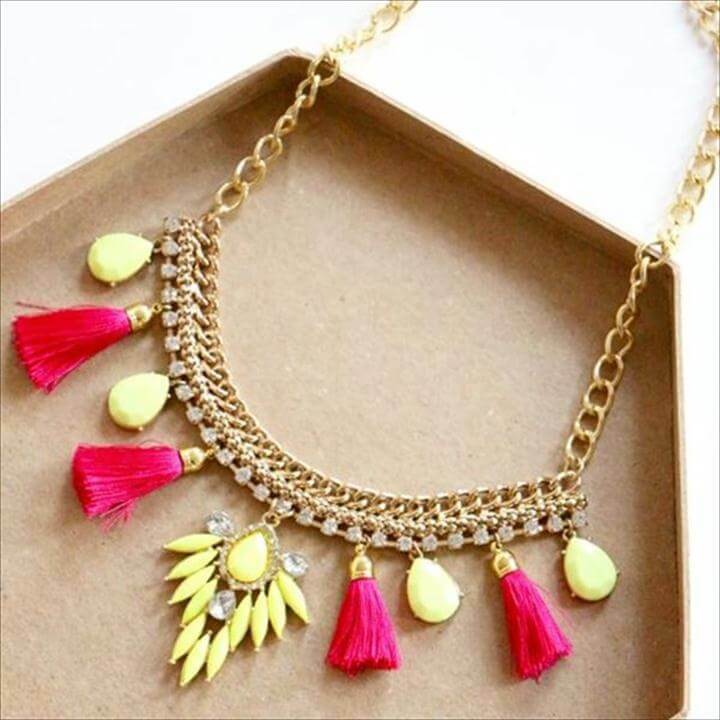 Here as a surprise, you will get Best 16 Recycled Ideas About Jewelry and redoing different things and turning them into beautiful jewelry pieces or turning some jewelry pieces into something else or some other kind of jewelry. 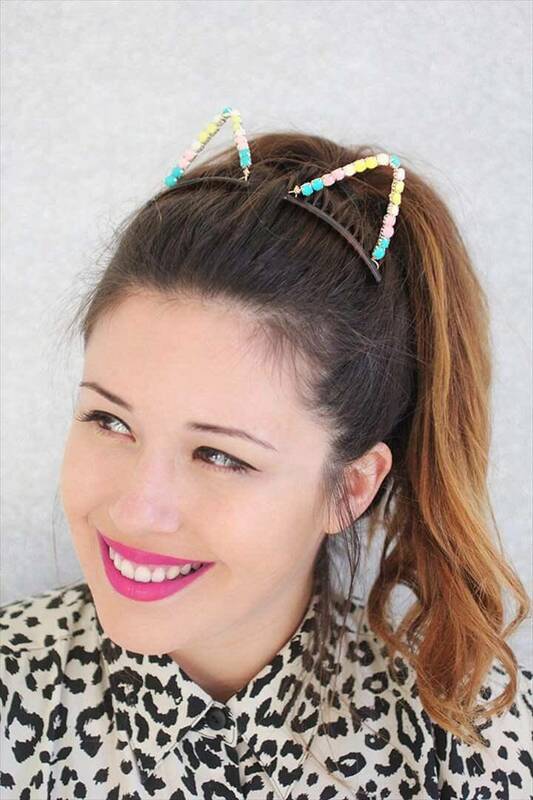 The first project here shows how you can use some of the colorful beads form any of your old necklaces and make cute embellished animal ears for your hair. 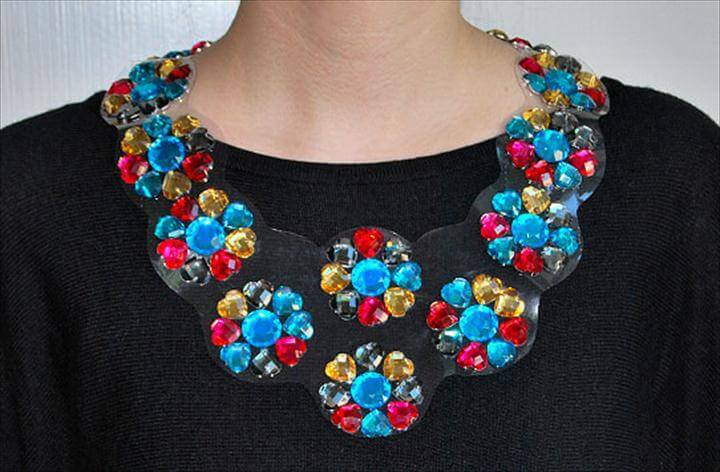 Then we have clear plastic statement necklace which is also created with some old plastic item. 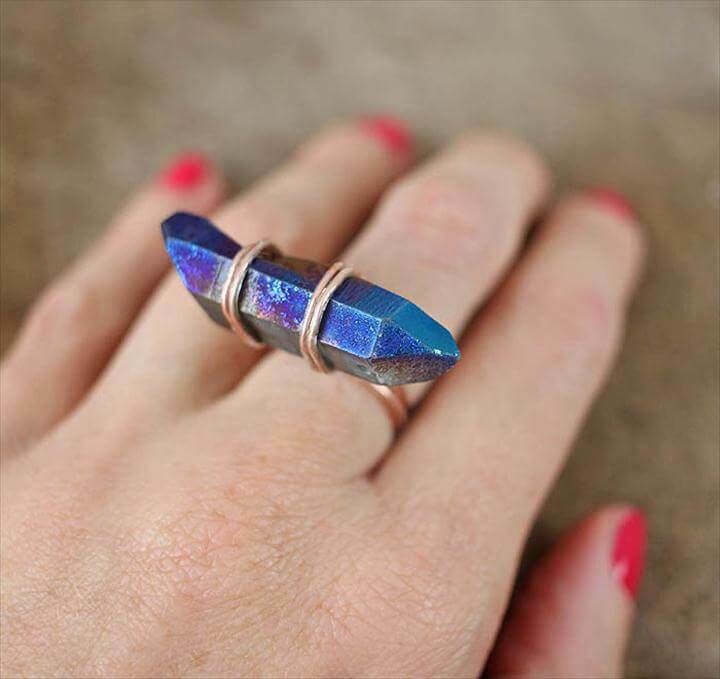 All these diy recycled ideas about jewelry will help you add some spark to your jewelry collection. Grab some of the old buttons form the grandmas sewing kits and make decent button rings out of them as you see here in this project. 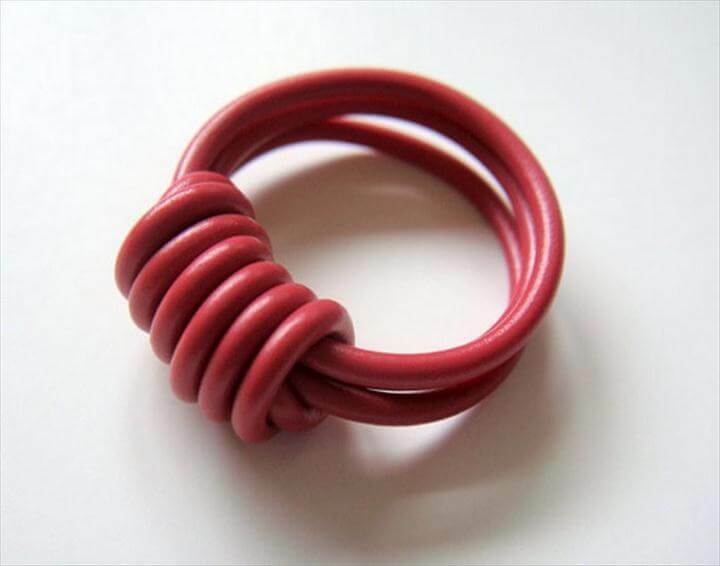 Also you can grab some wire from your tool box and tie it on to some other small tool and finally turn it into a ring such as in this project. 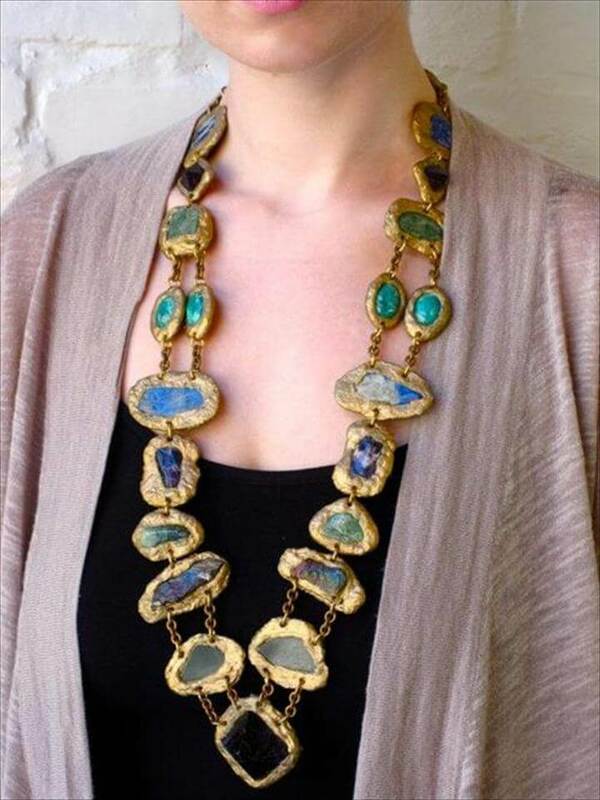 Metal chains can also be used to make some lovely beaded necklaces as you see here with colorful beads and a simple gold chain. Wires that are no longer of your use use them in making different styles of rings and other jewelry pieces. 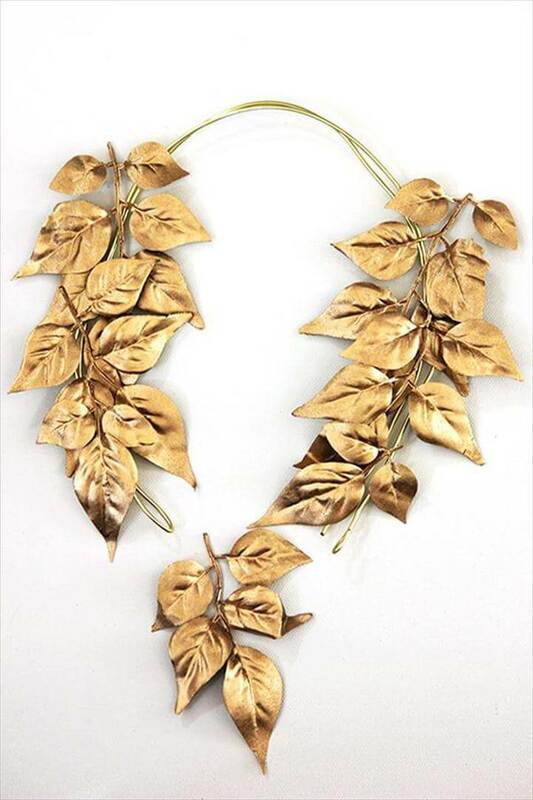 This gold leaf necklace is something you haven’t probably ever seen anywhere. 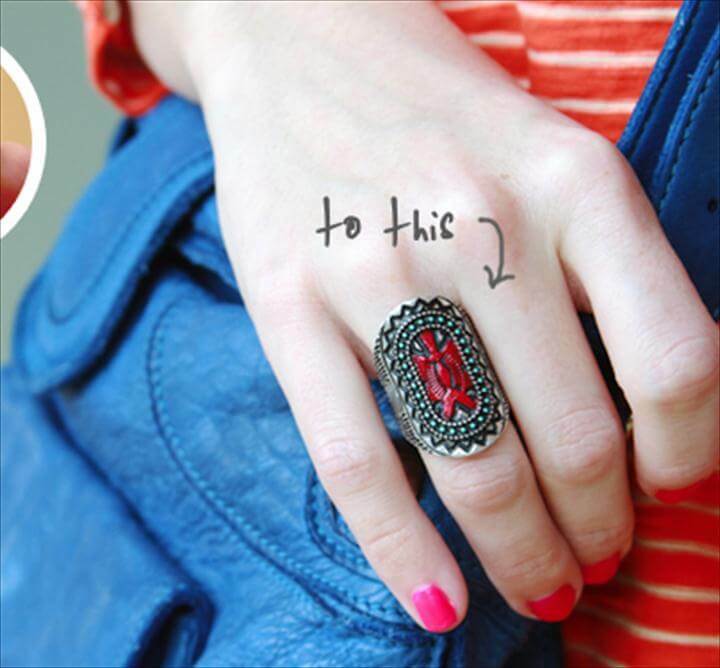 Old t shirts can also be used for making exciting jewelry stuff like rings and bracelets. 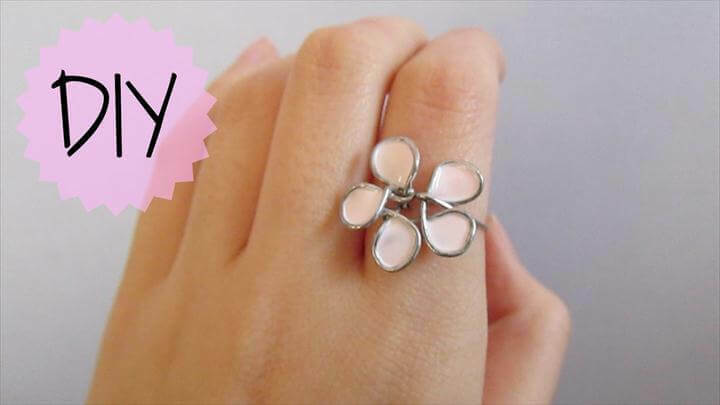 Fabric flowers are something that can make lovely jewelry whether they are rings, bangles, necklaces or anything else. 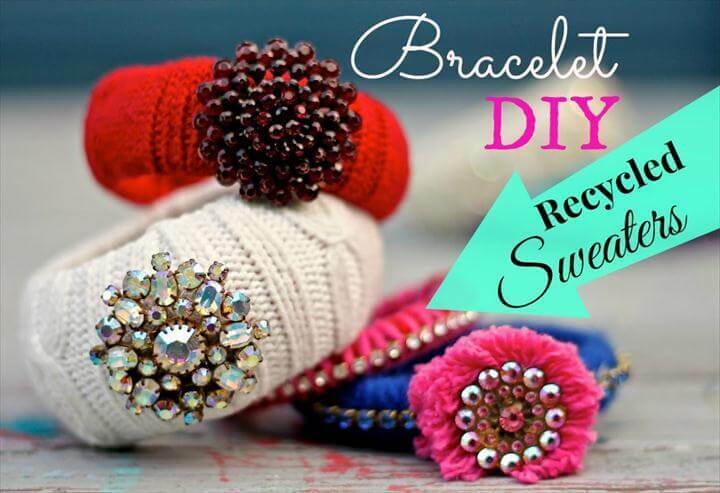 All these diy recycled ideas about jewelry are worth trying so you must see the tutorials given in the links below the projects. 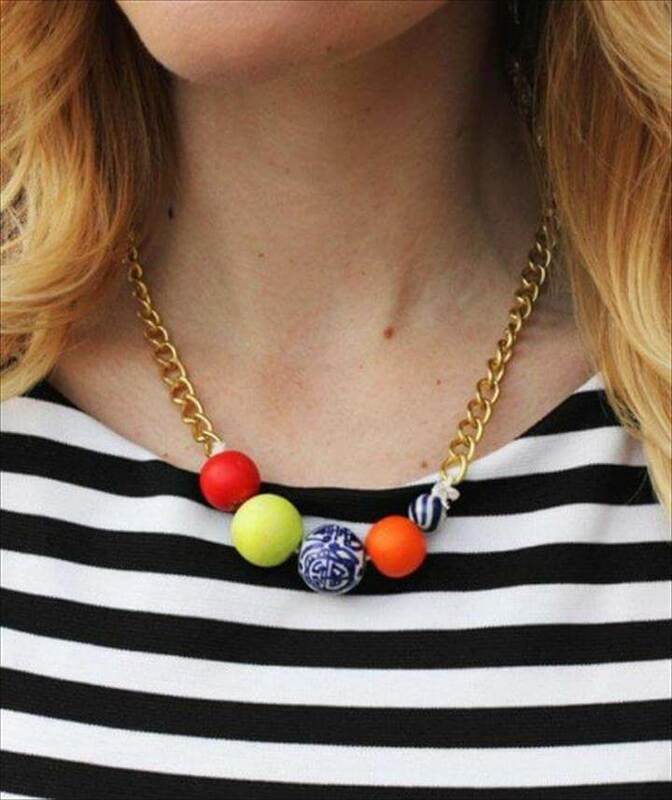 Also share these ideas with your friends and family and try making these statement jewelry pieces.